NEW YORK (AP) _ Olive Garden isn’t finished dreaming up new ways to use its breadsticks. The Italian restaurant chain said earlier this month it would introduce “breadstick sandwiches’’ as part of a broader menu revamp intended to play up its most popular offerings. The sandwiches don’t arrive until June 1, but Olive Garden already has a follow-up act planned with “breadstick crostini’’ in August. 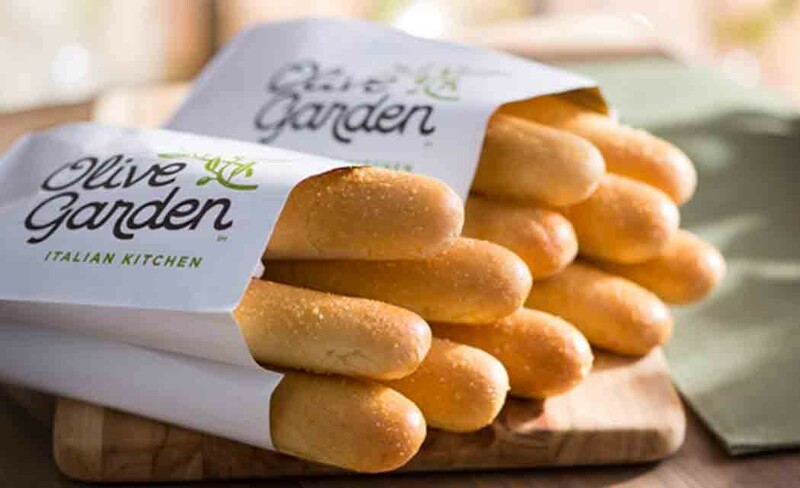 The “breadstick crostini’’ _ or toasted bread _ will be sliced and used as part of an appetizer, said Jose Duenas, Olive Garden’s executive vice president of marketing. “The flavor profile of the breadstick is powerful,’’ Duenas said in an interview. To enhance its unlimited salad, for instance, Duenas said Olive Garden will start offering grilled chicken as a topping. It will also bring back a variation of its “Tour of Italy’’ dish, which includes smaller portions of three entrees. The breadstick creations are notable in part because of a public spat last year with an investor that was trying to take control of the company. Among other criticisms laid out in a nearly 300-page presentation, Starboard Value said Olive Garden wasn’t being disciplined in distributing its unlimited breadsticks, which led to waste. It also said the quality of the breadsticks seemed to have declined and compared them to hot dog buns.